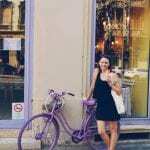 Are you traveling Europe on a budget and looking for the best hostels in Budapest? While here are many a Budapest hostel not all of them are the ones you should be staying in. 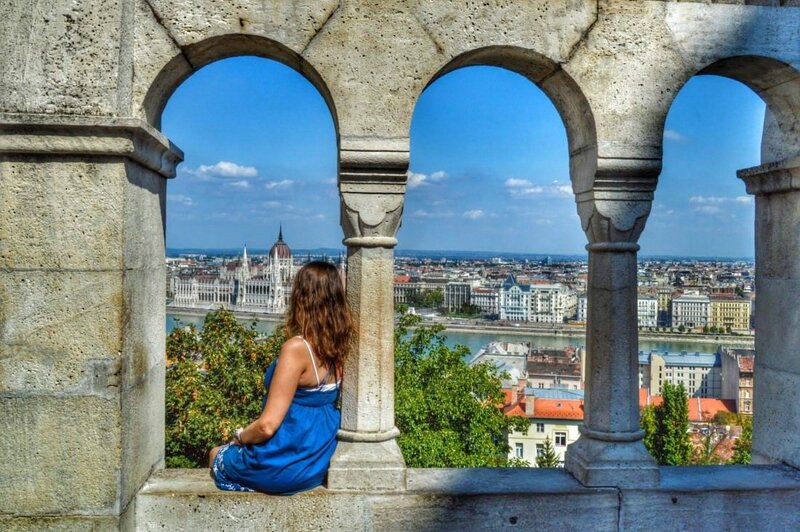 Hungary’s capital, Budapest, is really making a name for itself as a backpacker destination. Budapest is historic, lively, affordable, and plays host to one of the wilder party scenes in Central Europe. Excellent restaurants, clubs, and curious “ruin bars” really give the center of the city an energetic atmosphere once the sun goes down, and the twinkling lights come on. But that’s not all there is to do in this wonderful city. 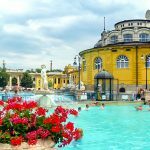 From the amazing thermal baths, to exploring off the beaten path in Budapest, to day tripping around Hungary, you will likely have a loaded itinerary. We have personally spent many weeks exploring Budapest on a budget, and we have visited many a Budapest hostel. We’re happy to say that we found a good deal of awesome ones! While there are a bunch of great party hostels in Budapest, many other options exist. 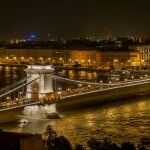 Budget travelers and backpackers looking for the best hostels in Budapest have plenty to choose from, including everything from robust and rowdy party hostels to hostels with quiet and relaxing settings. 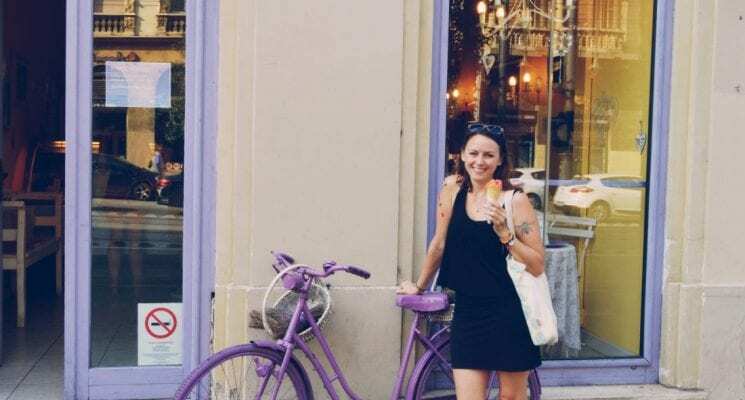 Having a lot of options is great, but we put together a list of the best hostels in Budapest to help you narrow down your choices. 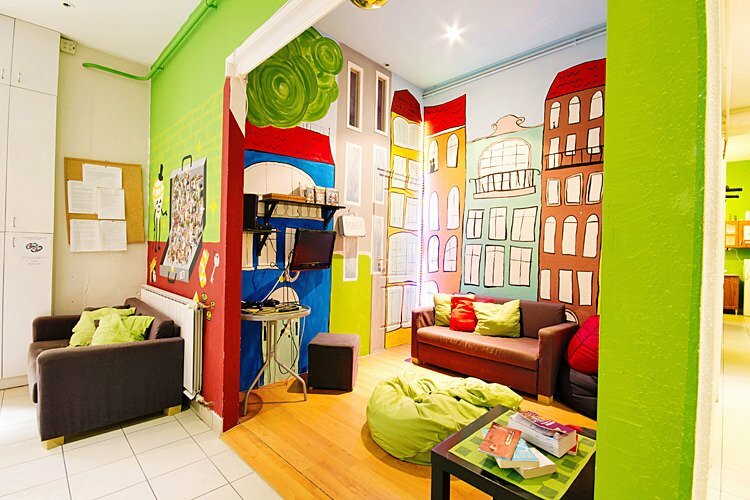 Each Budapest hostel has something different to offer, so choose wisely. We’ve included links to reviews to help you make up your minds. We have put together this list based on what we personally expect out of the best hostels in Budapest. Clean rooms, comfortable dorm beds with power outlets, secure luggage storage, friendly atmosphere that encourages interaction (but doesn’t force it), and a communal kitchen are all super important aspects in our eyes when it comes to Budapest hostels, and we prioritize them when suggesting a place to stay. All of these are factors when it comes to making our selection of the best hostels in Budapest. Enjoy exploring Budapest friends, and travel safe! Budapest is filled to the brim with party hostels. In the seventh district you can’t walk a block without running into one. The Avenue Hostel, while perfectly located on the edge of the seventh district, is NOT a party hostel. For those looking for a clean, modern, and laid back hostel experience, the Avenue might very well be the best hostel in Budapest. We’re a big fan of how Avenue has their dorm beds set up, you never have the deal with the indignity of waking up with someone’s feet in your face, and the sectioned beds afford a sense of privacy that is sometimes hard to come by in a hostel dorm room. Oh and hey, this Budapest hostels serves free breakfast. While it’s not a massive feast the free fruit, bread, and beverage will get your day started the right way. Quiet time starts at 10:00 pm in the hostel for those who want to turn in early and for those that want to go out, there are plenty of options to do so in the neighborhood. Great rooms, a nice mix of lively and respectful atmosphere and all the desired amenities (lockers, kitchen, hair driers) combine to make this one of the very bet hostels in Budapest. For more information, independent reviews, or the best prices for Avenue Hostel hostel click here! Do you find the idea of a Jaeger Train intensely appealing? Do you like partying with other travelers all afternoon and all night long while visiting a foreign country? Would you prefer to remember as little of your visit to Budapest as possible? If so the Retox, one of the biggest party hostels in Budapest, should be where you choose to stay. Retox is not the place to stay if you’re looking for a super clean hostel, or a quiet room to retreat to during your visit to Budapest. 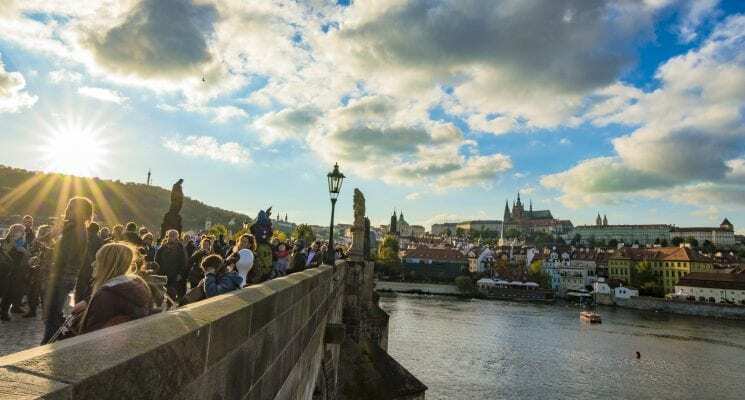 However, if you want to meet people and are down to do yourself some liver damage, you would be hard pressed to find a better place to accomplish your goals as far as Budapest hostels go. The staff at Retox is friendly and outgoing and the atmosphere is designed solely to facilitate a good time between strangers. 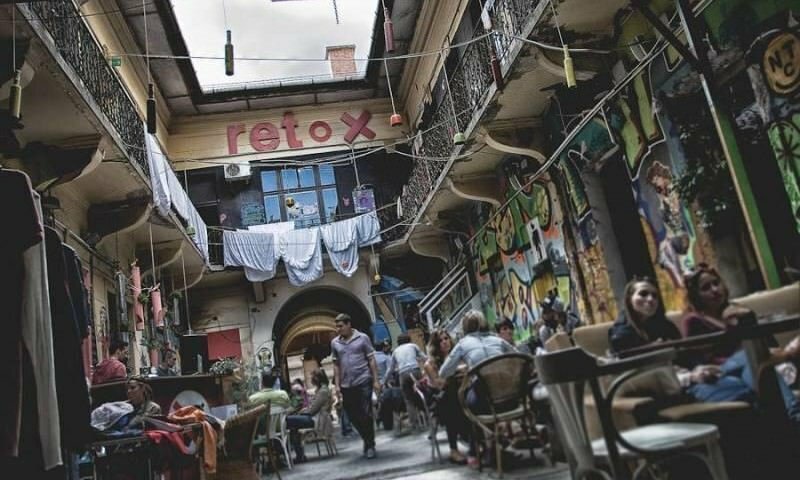 The above mentioned, and its “ruin bar” aesthetic make Retox one of the best part hostels in Budapest. For more information, independent reviews, or the best prices for Retox hostel click here! The Maverick Hostel is great Budapest hostel for travelers who want to socialize but don’t want to feel like their staying at a 24/7 rave. As such it is one of the best hostels in Budapest for backpackers and budget travelers who want to meet other travelers but don’t feel like drinking all the beer in town. Centrally located just outside the seventh district, in a fully renovated historic building, this Budapest hostel is within walking distance to many great restaurants and the best ruin bars in Budapest. With a 24 hr super market virtually next door, multiple kitchens, and free coffee and tea all day long, it is perfect for anyone looking to save a few bucks on food and beverage. 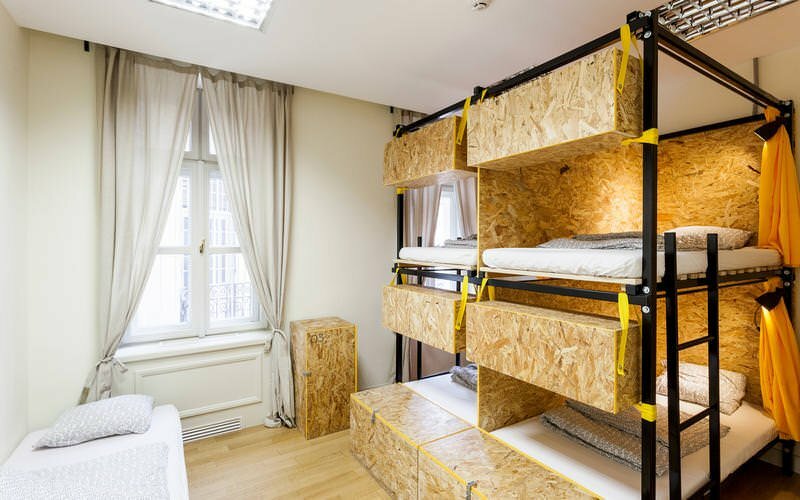 The dorm rooms in this Budapest hostel are unique in that they do not contain bunk beds. So if you’re a backpacker in Budapest who dislikes riding the top bunk, don’t worry it’s not an issue here. For those looking for a more private Budapest experience, Maverick also offers seven self-catering apartments. All of them come with an equipped kitchenette, a living area, washing machine, bathtub, and free WiFi. A few of the apartments also have a balcony. Six of the apartments in this Budapest hostel are in the same renovated historical building as the Maverick Hostel, and the seventh is situated on the Danube River, offering a panoramic view. Anyone looking for a private apartment rental in Budapest, with hotel quality amenities and services, would be advised to look into booking one of these. You can book them here. For more information, independent reviews, or the best prices for Maverick Hostel hostel click here! Wombat’s is a well-known and respected hostel chain with several locations across Europe. The Wombat’s in Budapest is one of the largest hostels in the city, so you’re guaranteed to run in to other like-minded travelers. The hostel sports large and clean rooms, a spacious lounge/common area, electronic lockers, a well equipped kitchen, and an affordable in-house bar. 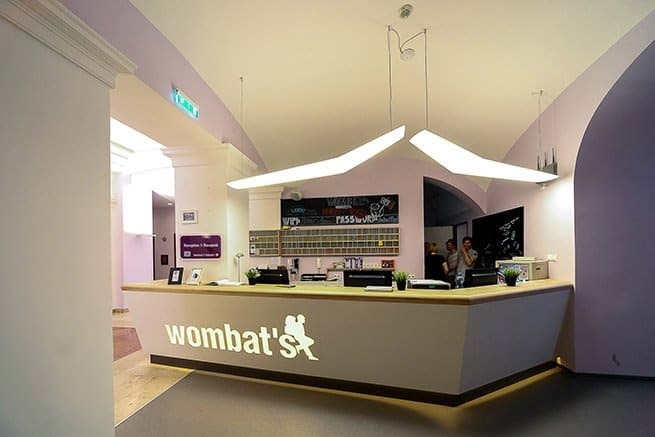 All of the above undeniably combines to make Wombat’s one of the best hostels in Budapest. 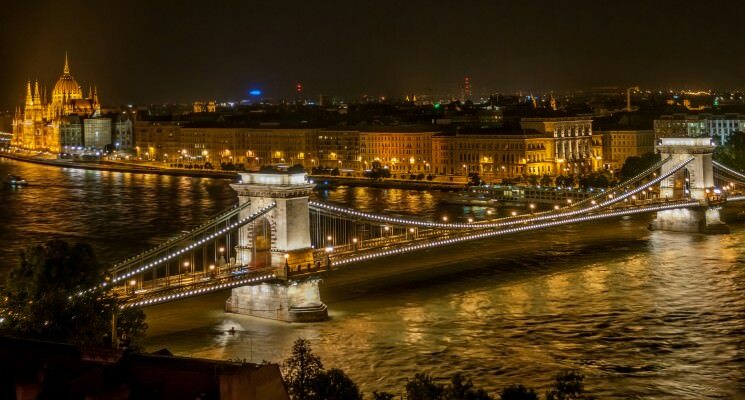 For more information, independent reviews, or the best prices for Wombat’s Budapest hostel click here! The name says it all. 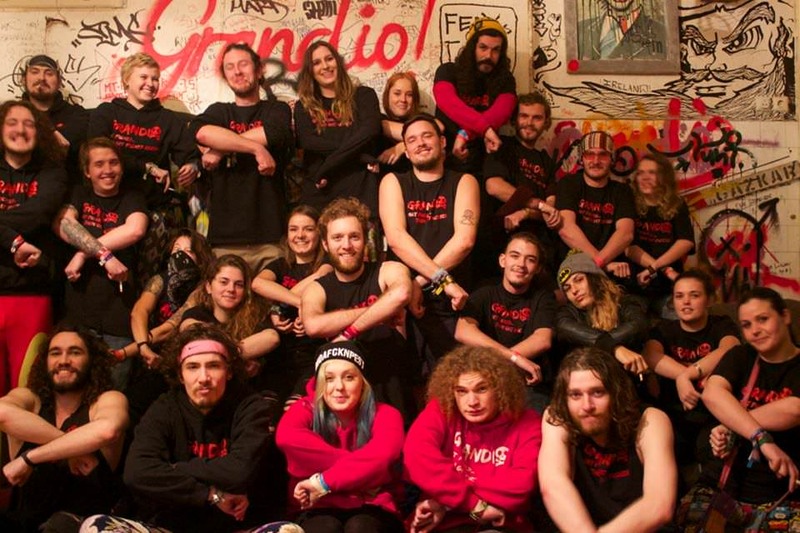 If you are in Budapest and you want to get wasted with like-minded backpackers or travelers, stay at the Grandio Party Hostel. It’s not a pretty hostel, it’s not the cleanest hostel, but you’ll meet a ton of people who all want to get wrecked while visiting the Hungarian capital. Grandio puts together all sorts of social outings, pub crawls, and drinking games so it’s hard to imagine staying here without making at least a few friends. Drink up party people, you’re in one of the best party hostels in Budapest. For more information, independent reviews, or the best prices for Grandio hostel click here! For the mellower sort of backpackers or budget travelers visiting Budapest, Friends Hotel is a safe haven from the party scene. Super clean with a bright and cheery design, Friends Hostel is a calm oasis in a city known for its wild party scene. If you’re looking for an intimate hostel experience and looking to avoid large crowds, this 45 bed establishment is a solid choice. We won’t say it’s THE best hostel in Budapest, however, it very well might be the cleanest and quietest. Older travelers looking for a bit of that communal (and affordable) hostel atmosphere while still having privacy and space will most likely enjoy Friends hostel greatly. For more information, independent reviews, or the best prices for Friends Hostel click here! If you’re looking for comfortable, peaceful, and affordable accommodation in Budapest then Mandala Hostel is definitely one of the best hostels in Budapest. Located in downtown Budapest, next to St. Stephen’s Basilica and the Danube, Mandala is in the ideal spot for exploring the city’s main attractions. The nearest subway station is just 500m away. 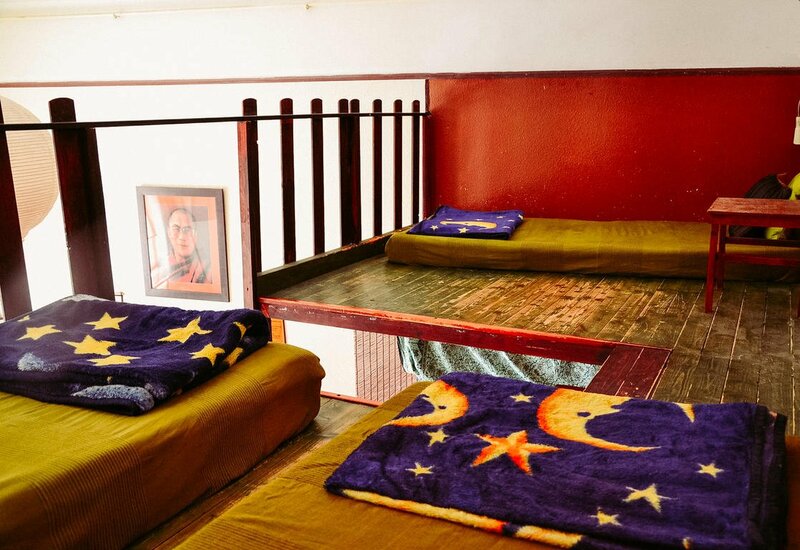 Mandala offers cosy 6-8 bed dorm rooms with all the facilities you might look for in a great hostel. Private lockers, sockets for charging your devices and access to a communal kitchen. The bohemian decoration creates a tranquil atmosphere where you’ll feel comfortable throughout your stay. Mandala offers guests free tea and coffee all day, a guitar and a ukulele to show off your skills with, book swap, free maps and walking tours. The friendly staff are always willing to give their insights into the best things to do, places to see and restaurants and bars to try around the city. At the hostel you can also book cave tours, thermal bath tickets, wine tours and escape room experiences. The chilled out atmosphere at Mandala make it the ideal hostel for travelers seeking a bit of peace and quiet after a long day of exploring magical Budapest. For more information, independent reviews, or the best prices for Mandala hostel click here! Address: Gönczy Pál utca 2. Flow is a relatively new addition to the Budapest hostel scene, its fantastic location and social atmosphere make it one of the best hostels in Budapest for travelers on a budget. Flow Hostel is a modern, fresh and spacious hostel that embraces the lively side of Budapest. Located in the historical area of the city, just a few minutes walk from the banks of the Danube river, Flow is perfectly located for exploring the city on foot or with public transport. The central market is just a few doors down, and the ruin bar area of the city is just a few minutes walk away. So you don’t have to worry about making it home after experiencing Budapest’s crazy nightlife! Although it’s situated in an old-style building, Flow is anything but old. Flow provides you with all the facilities that make a hostel great. Dorm rooms are airy and extremely spacious, and each bed has a privacy curtain, charging facility and locker. The dorms all have private bathrooms so you don’t have to worry about queuing to use the shower in the morning. 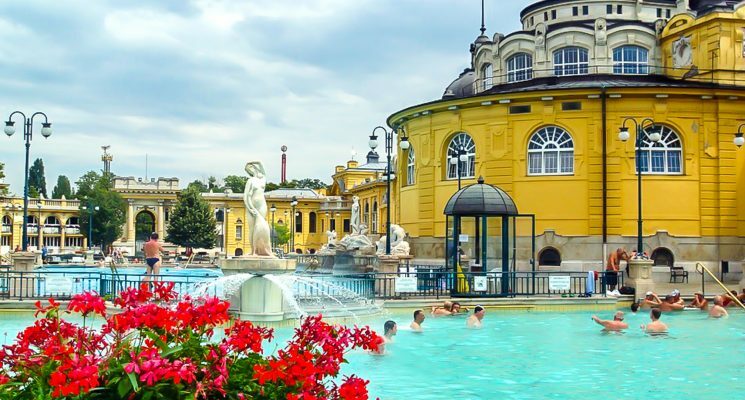 The staff at Flow organise various activities for guests, such as pub crawls, bike tours, tickets to the Széchenyi Thermal Baths as well as common cooking classes where you can learn all about Hungarian cuisine. If you love meeting new people and getting involved in social activities when you travel then Flow hostel is the perfect accommodation option. For more information, independent reviews, or the best prices for Flow hostel click here! 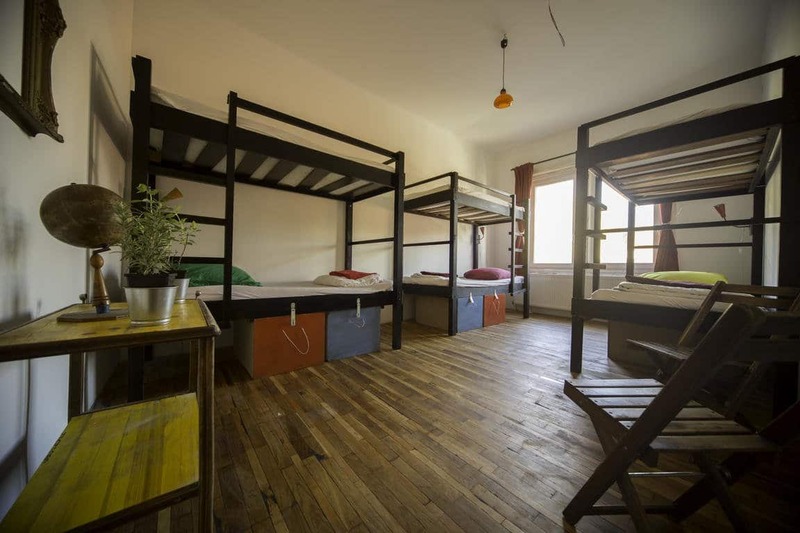 Das Nest Hostel offers cosy, comfortable and affordable accommodation in downtown Budapest. Its fantastic location and calm atmosphere are some of the reasons why Das Nest makes it onto our list of the best hostels in Budapest. This newly renovated loft apartment space offers beds for 30 people, meaning your stay here will be intimate and relaxed. Das Nest is modern and stylish. Wooden beams, a sombre decor palette and retro furniture give the hostel a classic vibe. The hostel offers dorms for 4-6 people, as well as a female only room. Each guest is allocated their own reading light, charging facility and private locker. 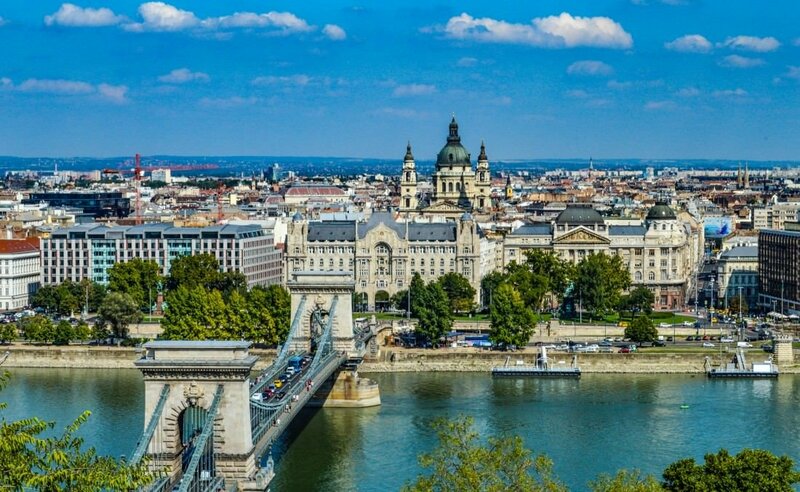 Located just a short distance from some of Budapest’s main attractions, such as the Hungarian National Museum, the Danube and St. Stephen’s Basilica, you won’t have to worry about straying too far from home. One of the best things about Das Nest is the incredibly helpful and friendly staff. The people who work here are very well connected throughout the city, and are always happy to offer advice about local bars, restaurants and festivals. 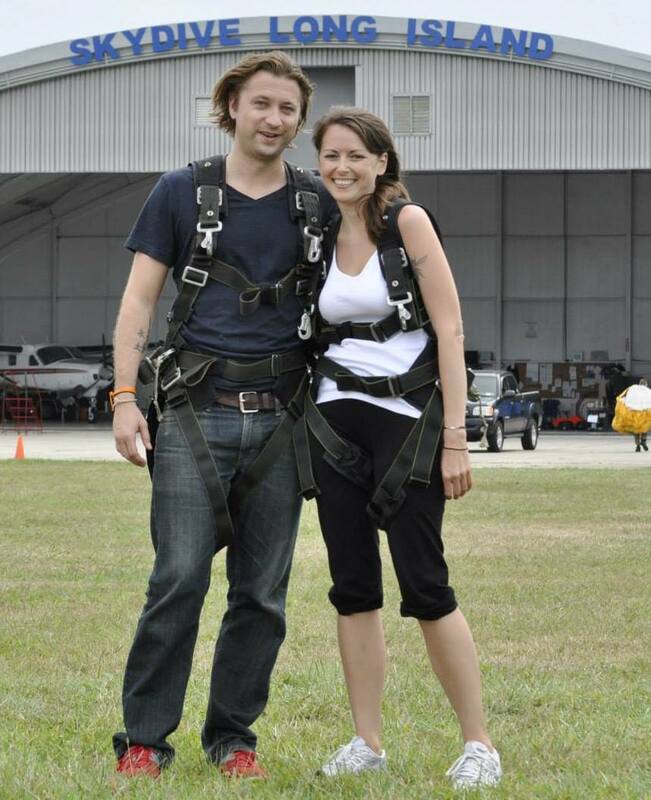 The hostel organizes various activities throughout the week, so you’re bound to find something which floats your boat! 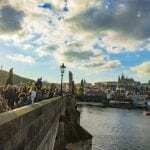 For more information, independent reviews, or the best prices for Das Nest Budapest hostel click here!